The Fairies at Browning Grange by Barrymore Tebbs. Dark Fantasy. A Daughter of Light by Price Girls. Paranormal. Wisps: The Honor Among Thieves by C L Stover. Fantasy. In the Shadow of Her Hem by Edward C. Patterson. Fantasy. The Order of the Albatross by J. Clark Hallvin. Historical Fantasy. Dominique Ick Lessont and the Dragon Knight by Eric Tripp. Fantasy. 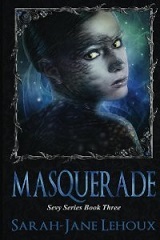 Masquerade by Sarah-Jane Lehoux. Fantasy. Discovery by Jennifer Collins. YA Urban Fantasy. Kami Cursed by Julianne Price. YA Romantic Fantasy. Valkyrie Rising by Ingrid Paulson. YA Fantasy. An Other Kind Of Fury by Helena Perry. Fantasy. Linked Through Time by Jessica Tornese. Time Travel Romance. Severed by Dax Varley. Horror. Sycamore by Craig A. Falconer. Science Fiction. Dark Siren by Eden Ashley. YA Paranormal. The Hierophant by Madeline Claire Franklin. YA Paranormal. A Place of Rest by Luke Spychalla. Time Travel Romance. Discovery: Altera Realm Trilogy by Jennifer Collins. Paranormal. Welcome to New Brooklyn (Shades of Amber #1) by Tom Hobbs. Post-Apocalyptic. A Curious Chain of Events by Monk E. Mind. Ima Pigg by Elizabeth Allen. Dystopian. The Mists of Many Voices by Jonathan Vick. Fantasy. The Stolen Karma Of Nathaniel Valentine (The Books Of Balance) by Justin Bloch. Fantasy. Blood Ties by Victoria Rice. Paranormal. Vampires. Heaveny Convalesce To Light State by Andrew Baker. Science Fiction. Humanastra I: The Hidden World by RJ Grey. Space Opera. Visionaries: Anaon by Christopher Vega. Science Fiction. Return To The Blue Door (The Blue Door Trilogy) by Alice White. Time Trave;. Romance. Valkyrie Rising by Ingrid Paulson. YA. Paranormal Romance. Glamour by Penelope Fletcher. YA. Paranormal Romance. Illicit Magic by Camilla Chafer. Fantasy. Romance. Blue Violet by Abigail Owen. YA Paranormal Romance. Just Breathe by Heather Allen. YA Fantasy. Romance. Witch’s Bell by Odette C. Bell. Paranormal Mystery Romance. Anticipations by Isabelle Arocho. Paranormal Romance. Werewolves. Shadow of the Sun by Laura Kreitzer. Fantasy.